This judgement is one part of the 1986 trilogy of cases regarding language rights; the other two being MacDonald and Bilodeau. The trilogy can be summarized as such: since language rights arose out of a political compromise, the interpretation of these rights should be strict. This conclusion is surprising as it comes shortly after the Reference re Manitoba Language Rights. The stance taken by the Court in this trilogy will later be reversed. The judgement in question is the only one of the trilogy which pertains specifically to the interpretation of the Canadian Charter. The dissidence is of great interest as it contains the position, which is later responsible for the reversal of the opinion contained in the trilogy. Moreover, Judge Wilson, dissident, adds that language rights should be submitted to the ratchet principle – current performance being a basis for setting future targets. 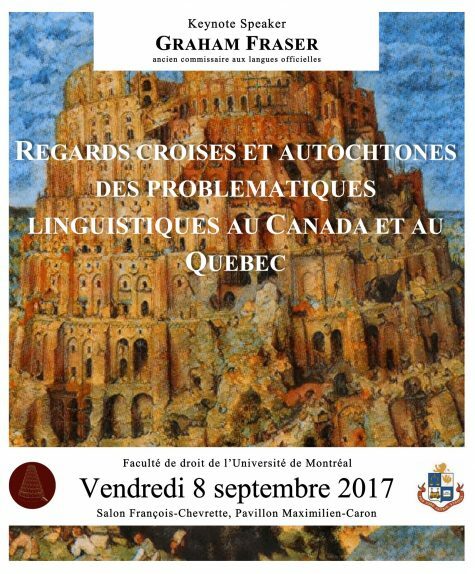 The Société des Acadiens du Nouveau-Brunswick Inc. (New Brunswick Acadian Society) alleged that its language rights were violated. A judge whose comprehension of the French language was questionable heard their application for leave to appeal. According to the Acadian Society, their language rights guaranteed by section 19(2) of the Canadian Charter were consequently violated. "Does section 19(2) of the Canadian Charter of Rights and Freedoms entitle a party pleading in a court of New Brunswick to be heard by a court whose members are capable of understanding the proceedings, evidence and arguments, written and oral, regardless of the official language used by the parties?" Sections 16 to 22 of the Canadian Charter entrench the notion that Canada has two official languages and ensure that many government departments offer bilingual services. With regards to section 19(2), its reach is similar to that of section 133 of the Canadian constitution with respect to the guarantee of being able to use either official languages before Canadian courts as the wording from the constitution is reproduced in the Canadian Charter. The majority refused to accept that there is any link between this guarantee and the principles of fundamental justice. Consequently, the section in question does not ensure that one has the right to be understood in the language of their choice. In order for the right guaranteed by section 19(2) of the Charter to make sense, it must encompass the right to be understood directly or by some other means by the judge to whom the representations are made. Any other interpretation constitutes a restrictive interpretation which is contrary to the liberal interpretation given customarily by the Court to language rights and negates their reparatory objective. However distinct, the concepts of language rights before the courts and procedural equity are intertwined as both are related to necessity. She comes to the same conclusion as Justice Dickson. In her dissidence, she notes that section 16 of the Canadian Charter establishes equality between both official languages and she reminds the reader of the objective of bilingualism in Canada. Based upon these principles, the interpretation of the rights of litigators provided in section 19 should receive a progressive interpretation rather than a static one. This should guarantee that the judge fully comprehend the litigator, independently of which language the latter is pleading in. She adds that language rights also follow the ratchet principle: laws which hinder bilingualism will be hindered by judicial control whereas laws which favour bilingualism will remain unhindered. This decision falls within the context of the legislative bilingualism present in the province of New Brunswick. The Court of Appeal of said province must determine whether the terms “statutes of the legislature” used in subsection 18(2) of the Canadian Charter includes municipal by-laws and whether said by-laws are subject to the application of constitutional language rights. The appellant, Mr. Charlebois, challenges an order made by the city of Moncton under the Community Planning Act and the National Building Code of Canada, which are applicable by virtue of Moncton’s city by-law Z-4. The appellant challenges the constitutionality of the city by-law Z-4 because it was adopted in English and was only translated to French later on. "Should city by-laws be excluded from the application of the language rights contained in the Canadian Charter of Rights and Freedoms, as the Court ruled in Blaikie No. 2? Does the expression “statutes of the legislature” used in subsection 18(2) of the Charter of Rights include city by-laws?" As in Beaulac, the Court of Appeal of New Brunswick adopts a large and liberal interpretation of the language rights contained in the Canadian Charter and concludes that the city by-laws are subject to them, because they are an illustration of the power that the provincial legislatures have delegated to municipalities. Thus, the Court invalidates the city by-laws by virtue of subsection 52(1) of the Constitution Act, 1982. However, like in Reference re Manitoba Language Rights, it temporarily suspends the effectiveness of the declaration of invalidity for a period of one year. This content has been updated on 7 April 2016 at 15 h 25 min.